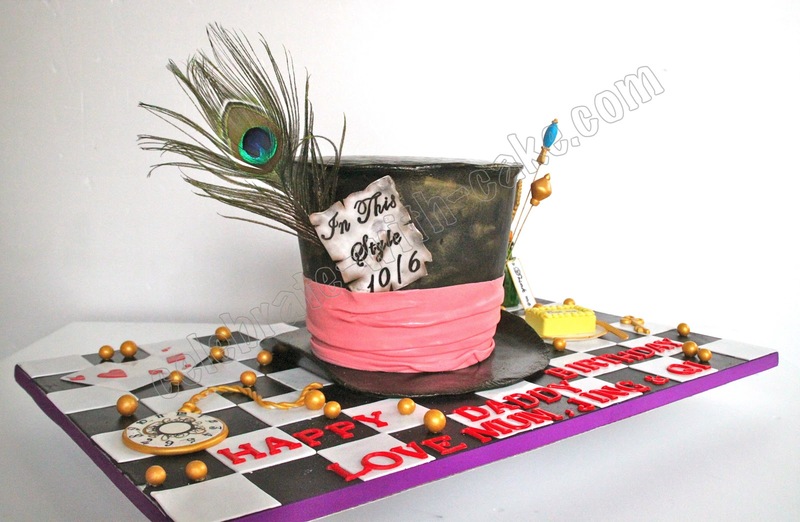 PQ came back to us for another cake after her F1 Race Car/Lego themed cake for her guy some time back. 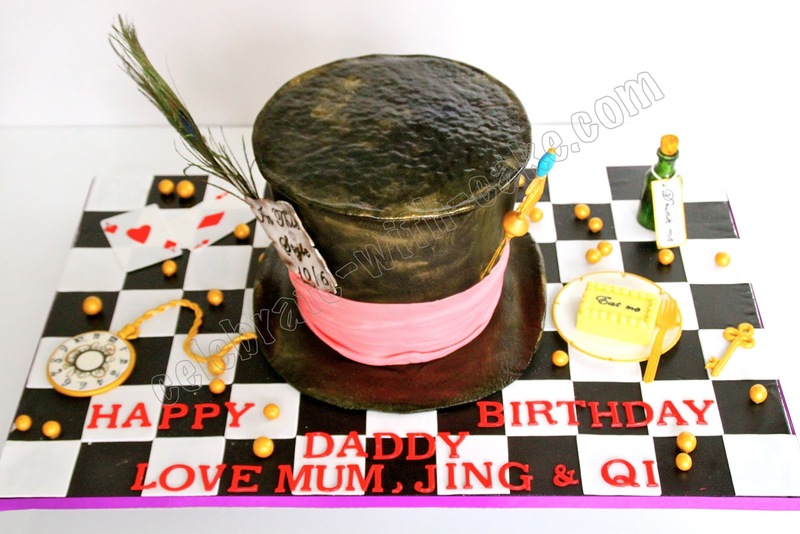 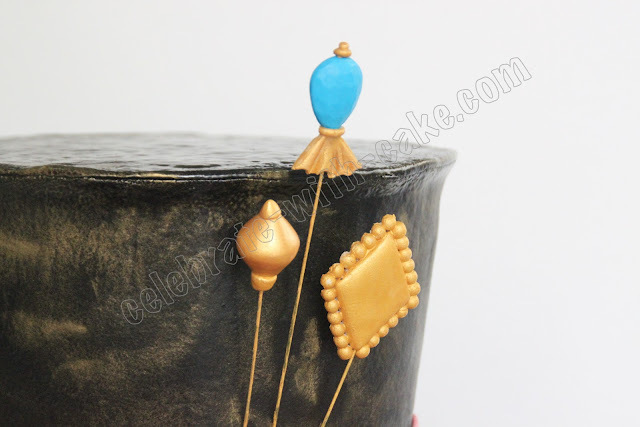 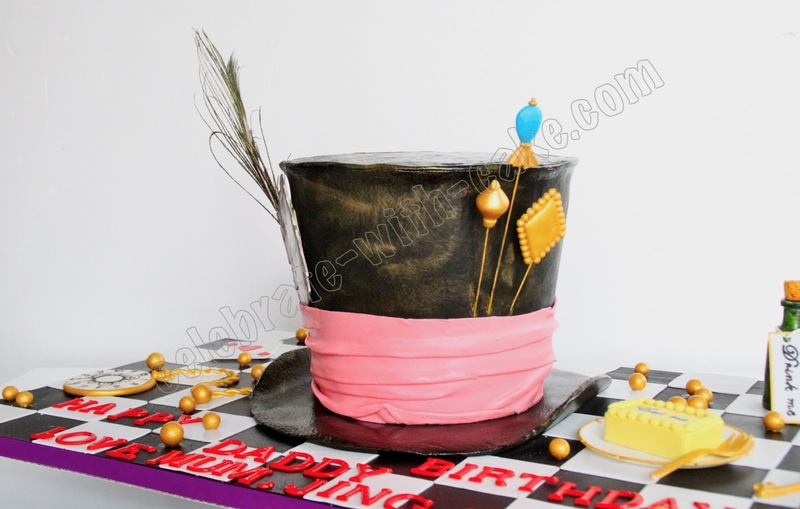 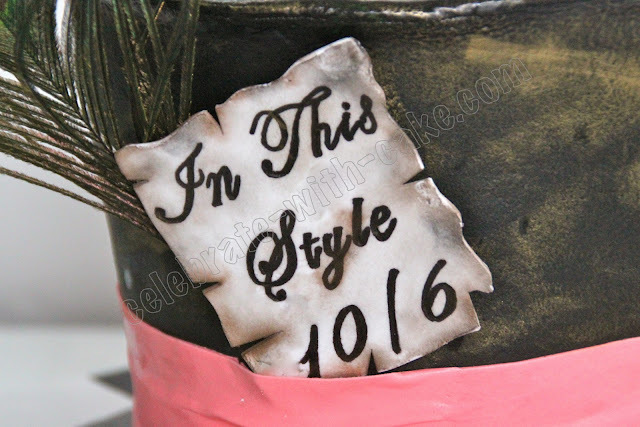 This time she wanted us to recreate Mad Hatter's hat in cake for her dad! 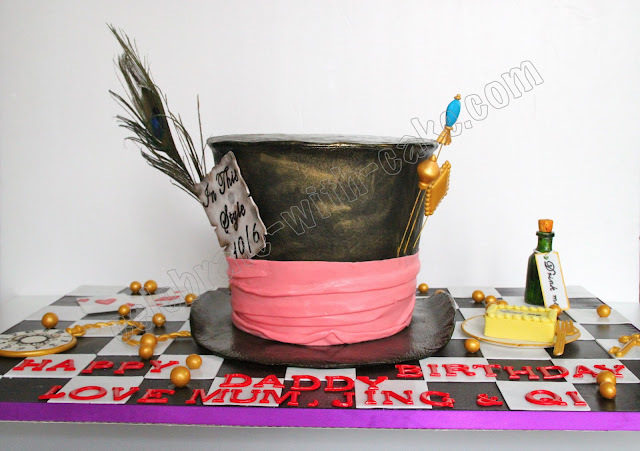 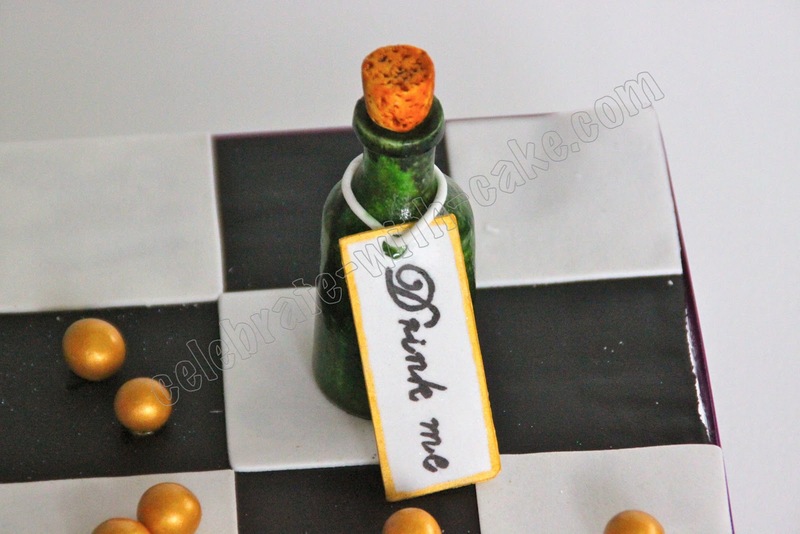 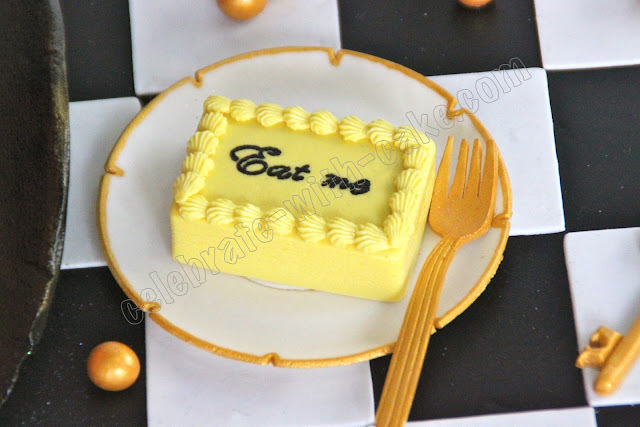 I had always wanted to do an Alice in Wonderful themed cake, cos i lurrrve whimsical looking cakes. If not for the fact that PQ was organizing an intimate party for her dad and only required a small cake, we would have gone all out with a gravity defying stacked cake complete with teapots at an angle pouring tea out, over a picnic basket or something along those lines!